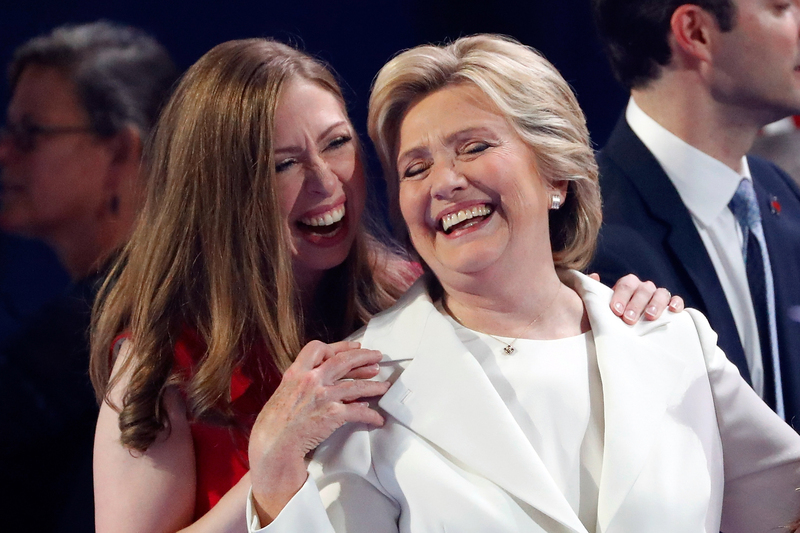 Lately, Chelsea Clinton has been killing it on Twitter, and, TBH, we’re grateful. The more empowering magic we can find on the internet these days, the better! Too, we love people who use their voices for good, and Chelsea Clinton’s Twitter is loaded with feminist goodness and so many amazing takes on what’s going on in politics these days. For one, she’s refused to hold back when she sees something wrong taking place in the country she holds dear. There’s so much uplift to be found on Chelsea Clinton’s Twitter. She writes such amazing messages! Plus, we’ve learned that she’s so much more like us than we ever would’ve expected, as we’re also Thin Mints-obsessed. And she shares self care tips and tricks, like scrolling through pages of adorable elephants. TBH, the more of her tweets we read, the more we fall in love with this intelligent and lovely lady. Excited to be packing diapers & books for a #DayOfAction w @2SmallToFail, @ClintonFdn, @penguinkids, & @diapernetwork! But at the end of the day, what we’ve learned the most from Chelsea Clinton’s Twitter is that social media makes it possible for all of us to reach a wide audience and learn from each other in seriously incredible ways. And how cool is that? !